Kicking off the run on Thursday, February 14th, at 6:00pm, is a special Valentine’s package, “Martini Night,” featuring an unforgettable evening of cocktails and sumptuous hors d’oeuvres, followed by the 7:00pm performance. Catered by Yada Yada Yada Deli, the evening’s menu includes chicken salad in phyllo cups, meat and cheese charcuterie, caprese salad skewers, meatball sliders, twice-baked baby potatoes, assorted desserts — and, last but not least, vodka and gin martinis with all the fixin’s. (Non-alcoholic beverages will also be available.) Tickets to “Martini Night” (including the performance) are $50.00 per person. 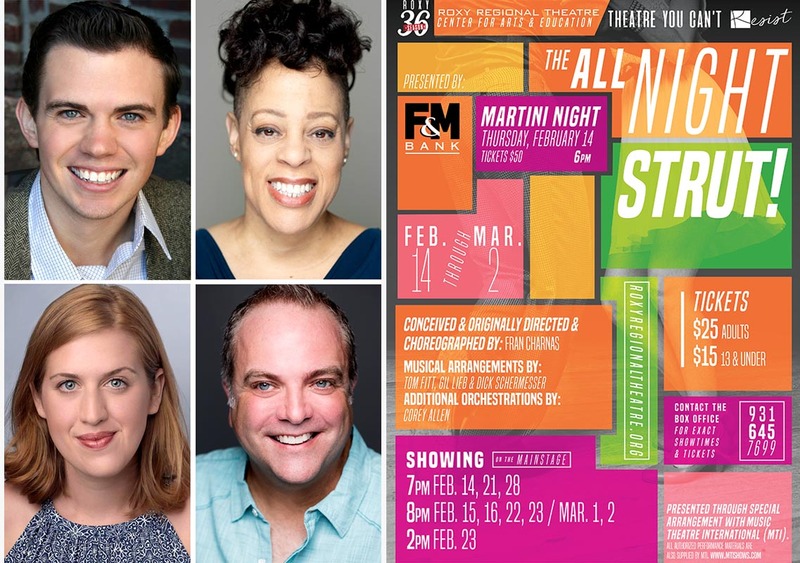 “The All Night Strut!” begins its run of performances for the general public on Friday, February 15th, at 8:00pm. In keeping with the theatre’s traditional pay-what-you-can opening night, all tickets not pre-sold at the regular ticket price will go on sale at 7:30pm that evening for a $5.00 minimum donation. Performing such memorable standards as “Chattanooga Choo Choo,” “A Fine Romance” and “It Doesn’t Mean a Thing (If It Ain’t Got That Swing),” Ryan Bowie, Brooke Leigh Davis, Brian Best and Emma Jordan — backed by a live band featuring music director Matthew McNeill on piano, Thad Wallus on bass and Bernard Lott on drums — will move through the Depression, World War II and the post-war boom to highlight a slick slice of yesteryear and capture a beloved American era. 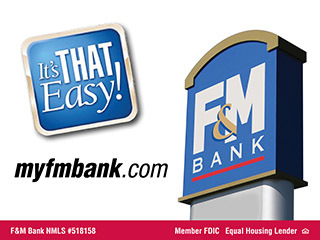 In addition to F&M Bank, funding support for “The All Night Strut!” has been provided by Gerald & Jane Gilman and James G. Holleman. Performances run February 15th through March 2nd on Thursdays at 7:00pm and Fridays and Saturdays at 8:00pm, with a 2:00pm matinee on Saturday, February 23rd. Tickets are $25.00 (adults) and $15.00 (ages 13 and under) and may be reserved online at www.roxyregionaltheatre.org, by phone at 931.645.7699, or at the theatre during regular box office hours (9:00am to 2:00pm, Monday through Friday, and one hour prior to curtain). Military, APSU students and CitySaver coupon holders can receive two tickets for the price of one to Thursday 7:00pm performances during the run (excluding “Martini Night” on February 14th).